We realize that selling your home is one of the most important, and perhaps the largest of all financial transactions you and your family will face. We also realize how personal and emotional it may be. Our goal at Lenny, Vermaat & Leonard is to obtain the very best return on your most important investment, and at the same time make the process as easy and pleasant as possible. To ensure that you receive maximum profit for your property, we base its value on our up-to-date comparative market analysis. We will present all offers to you promptly and professionally. This critical negotiating stage will be executed with experience and dedication. This section outlines the process and the services we offer. Please visit our site for additional, frequently updated, information. George Roney ventured into the real estate business in 1934 with a small storefront office on Kings Highway in Haddonfield. During the following 40 years, the firm evolved and grew steadily, servicing the counties of Camden, Burlington and Gloucester. The present office was built in 1986, reproducing a residence (the Charlton House) from Williamsburg, Virginia. The firm has continued to grow and evolve since then, because we have consistently based our service on the philosophy that quality of Associates is much more important than quantity. Everyone at Lenny, Vermaat & Leonard shares the understanding that we are handling one of your largest assets, and we must serve you accordingly. It is this commitment and philosophy that has enabled our firm to become the most productive single-office broker in Camden County.When you select the right Realtor, you’ve made the first step toward the selling of your home. Lenny, Vermaat & Leonard is the leading single-office realtor in the area, and our standards for hiring, training, and retaining the best Associates are known to be the highest in the region. 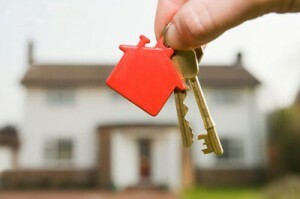 So, if you’re selling a home in South Jersey, allow us to be your trusted companion. The rewards will be yours — in your satisfaction with your return on your most important investment. If you agree that heaven is in the details, you’ll love working with us. We’re masters of the many details that demand attention. From the time you contact one of our Associates, until you sell your home, we’ll walk you through each step necessary. Lenny, Vermaat & Leonard has invested time and resources in creating key partnerships with Surety Title Agency and The Brentwood Group, LLC., a full-line insurance provider. We created these partnerships for your convenience, so your buyer can benefit from financing as well as title-related and insurance services within our firm. Our Associates will help you to define the market value of your property with an up-to-date market analysis, present all offers, negotiate diligently, help arrange for financing for your buyer, estimate your closing costs, and handle the final details at settlement. We’ll give you as much insight into the language and lore of real estate as you wish to absorb. What does a broker or salesperson do for me? 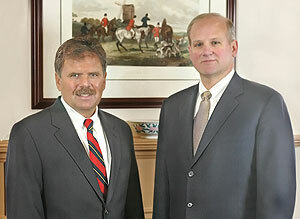 Both the individual salesperson and our firm enter into a clear understanding regarding whom we serve. This means we are serving as a Seller’s Agent, a Buyer’s Agent, or a Disclosed Dual Agent. We adhere to a strict code of ethics, which require that we treat all parties honestly, promptly present offers and counteroffers, avoid discrimination and provide truthful disclosure of material facts about the property. How do I know I’m working with a reputable broker/agent? 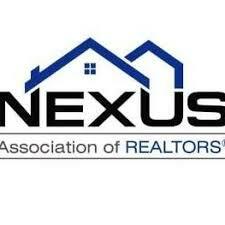 Lenny, Vermaat & Leonard, Realtors are members of The National Association of Realtors (NAR), New Jersey Association of Realtors (NJAR), and Nexus Association of Realtors (Nexusaor). REALTORS® is a federally registered collective membership mark representing real estate professionals. As members of The National Association of Realtors, we are held to the highest standards of professionalism and competency. The NAR “Code of Ethics” is a valuable guide to all REALTORS® members when interacting with the public. Lenny, Vermaat & Leonard, Realtors strives to exceed these values on a daily basis. lifetime. We’ll help you figure out the best price range so that your home will sell as quickly as possible, for the highest return. How can I be sure my listing will be handled with care? When we market your property, you receive the service of a skilled, dedicated staff devoted to showing your home in its best light, to the most appropriate and motivated buyers. Our sales staff is thoroughly trained. Both our new and seasoned Sales Associates are given the continual education necessary to stay on top of an ever-changing industry. Your home is immediately listed with the Multiple Listing Services and on our web page, notifying all member brokers including Camden, Burlington, and Gloucester counties of the availability of your property. This listing gives you maximum exposure and affords other brokers the opportunity to show your property. However, all appointments and negotiations are handled by your Lenny, Vermaat & Leonard Associate. We keep strict control of the showings through our computerized “Floor Manager,” providing a record of all kept appointments. Your Sales Associate will host a tour of your property, so other Associates can become familiar with it and describe it accurately to their buyers. Your Associate is backed by a support staff. Someone will always be available to assist you if you have a question. This includes the partners. We never forget that we are working for you. The primary purpose of all advertising is to motivate buyers to call for more information. Once they call, we tell them about the properties we have that might interest them. We will automatically advertise your home when it is listed, then again on an equal rotating basis with our other listings. Lenny, Vermaat & Leonard advertises property every day of the year through newspapers, real estate publications and the World Wide Web, including our home page. Because of the tremendous volume of our advertising and the size of our firm, your home will receive the greatest possible exposure. Our classified ads feature the four most important facts all buyers want to know: location, price, number of bedrooms and style of house. We also include a brief description to engage the caller and elicit a call. Big. Small. Both can be best. Lenny, Vermaat & Leonard is the most productive single-office broker in Camden County, so we can service every town in the tri-county area. Our real estate office is staffed by residents of the towns they service. They know your town. They know about school systems. They know that selling your property requires the ability to present the community. You will benefit from our size. Our reputation of quality Associates provides a wide customer base of potential buyers for your property. Our very active in-house referral system leads many buyers to your property. It enables them to research homes and communities throughout the tri-county area quickly and completely. Our service doesn’t stop with the sale. Our full time settlement coordinator and your Sales Associate will guide you to a successful conclusion and a positive settlement with the buyer of your home. We are proud to be chosen by Leading Real Estate Companies of the World. Relocating executives and corporations are an important part of our business. We help both those who are leaving and those who are entering this key corporate market. We receive and send qualified referrals to other fine brokers throughout the northeast corridor. This understanding of the market, and our membership in a national relocation organization, puts your property in contact with the transfer buyers and corporations relocating here. At Lenny, Vermaat & Leonard, we pride ourselves on our decades of service to our neighbors. As the leading single-office broker in the area, we offer you the confidence that comes from working with true professionals. We put your needs first and we know the area. Real Estate is not a part-time interest to us, it’s our profession. We have no part-time Associates on staff, because we know that it takes full-time commitment to obtain the best price for our sellers. Click here to see a list of our dedicated Full-Time Sales Associates & Staff.